Emissions control technology applied to gas turbines may reduce nitrogen oxide (NOx) emissions by more than 80%. 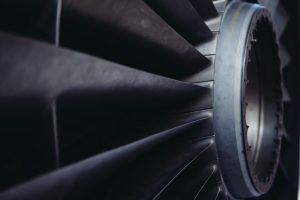 Recent improvements in gas turbine technology and advanced airframe design open up new opportunities for the use of emissions control technology. In turbo-electric or hybrid electric designs with next generation airframes, the use of such emissions control technology may reduce more than 80% of the NOx emissions. Similar enabling technology and adoption of emissions control treatment by the automobile industry in the 1970’s has resulted in an order of magnitude improvement in NOx standards. Ground based gas turbines used for power generation routinely use emissions control technology which bring down emissions (particularly NOx). With current technology levels, the NOx emissions from an aero-derivative engine used in a power generation plant is about 10 times lower than the original aircraft engine. Current work at the Laboratory for Aviation and the Environment is studying how similar technology can be adapted for use in aircraft gas turbine engines, how this would influence fuel consumption, and what the impact would be on global air quality and climate. Electroaerodynamic (EAD) propulsion has the potential to offer solid state, near-silent, highly distributed thrust. Since the first airplane flight over 100 years ago, airplanes have been propelled using moving surfaces such as propellers and turbines. Most have been powered by fossil fuel combustion. 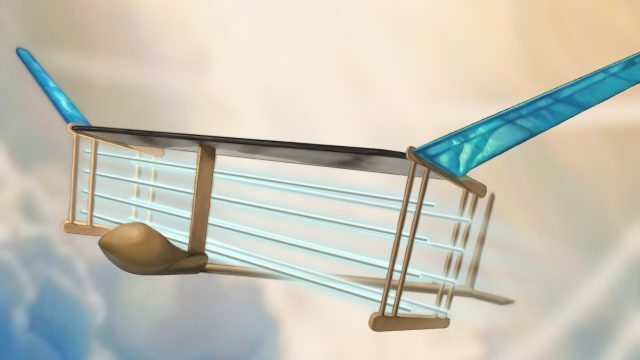 Electroaerodynamic devices, which use electrical forces to accelerate ions in a fluid, are potentially an alternative method of propelling aircraft — without moving parts, nearly silently and without combustion emissions. While the effect of EAD, or the “ionic wind” has been known about for over a century, work at the MIT Department of Aeronautics and Astronautics in 2013 reignited interest in the field when experimental and experimental results indicated that EAD propulsion may be an efficient means of propulsion. Subsequent efforts have focused on the design and testing of a fixed wing demonstrator. The prototype EAD airplane achieved steady level flight in December 2017, the result of multidisciplinary collaboration and development in the fields of ionized gases, high voltage power electronics, and aircraft design optimization. This was the first untethered flight of a heavier-than-air EAD propelled airplane, the first flight of a solid-state propulsion system, and the first flight test of a new form of air-breathing propulsion in almost 30 years (since the scramjet). While the fundamental feasibility of EAD has been demonstrated, the practicality of EAD propulsion remains highly uncertain. 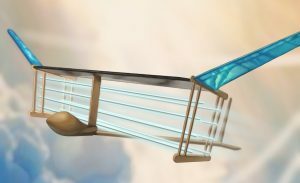 Recent theoretical and experimental work at MIT indicates that it does have the potential to perform well at high altitude and may offer sufficient thrust density for a variety of purposes, and continuing work focuses on the development of EAD thrusters which might be competitive against conventional propulsion systems for practical aircraft.